An online survey conducted by the Centre for Policy Alternatives asked five questions regarding the upcoming Presidential election. The objective of the survey was not to predict election results but to gather public opinion on the elections and contribute to ongoing discussions. 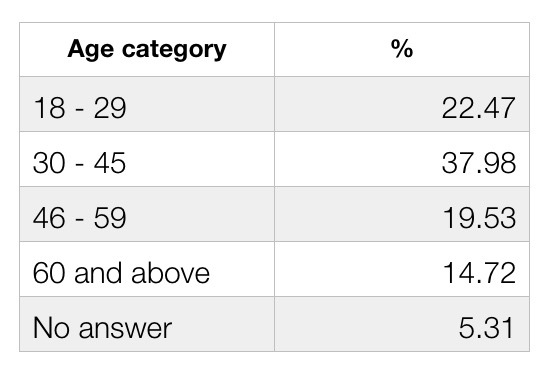 As the survey was conducted online and not with a random sample, the findings presented below cannot be generalised to Sri Lanka. 1,394 people completed the survey during the survey period 12-16 December 2014. Respondents were given a list of issues affecting the country at present and were asked to select which issue they thought should be the main focus of the candidates’ campaigns. 51.71% selected corruption while 20.83% selected the economy, 19.08% selected Constitutional reform and 8.38% chose human rights. If the Presidential election is to be held tomorrow, majority of respondents believe that Maithripala Sirisena would win. Only 23.94% believe that President Rajapaksa would win. There have been significant crossovers in the past few weeks – to the Government and also to the side of the common candidate. An overwhelming majority of respondents (93.03%) said that it is the side of the common candidate that has benefited the most from these crossovers in terms of getting more votes. Social media is playing a key role in the elections campaigns, but how influential are they in reaching a critical group – the young voters? 48.06% of respondents believe that social media platforms like Facebook and Twitter are somewhat influential in helping young people decide which candidate to vote for. 38.02% said that social media platforms are very influential while 7.82% believe it is not at all influential. 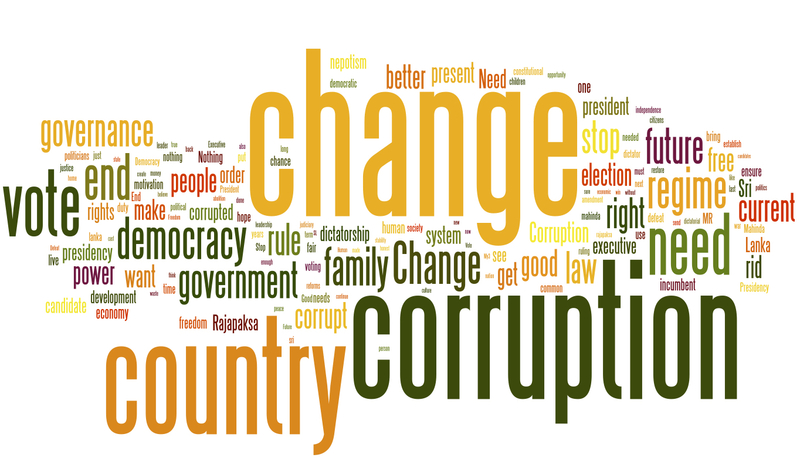 When asked about what would motivate them to go and vote on the 8th of January 2015, the two most common answers given was to end corruption and to bring change to the country. Many mentioned that they wanted an end to a Rajapaksa government while some also stated that they do not want a Chandrika – Ranil government. Click here to download the complete dataset. The graphs below are available as high resolution images here.